Just one year after offering CinemaCon attendees a first look at its initial Cinema LED screen, Samsung Electronics has officially launched its new Onyx brand at this year’s event. All venues featuring Samsung’s enhanced screen will operate under the Samsung Onyx Theatre name moving forward. Inspired by the gemstone of the same name, the Samsung Onyx brand alludes to the display’s ability to showcase cinema content with true, deep and realistic black colours. Combining an infinite contrast ratio and specialised low-tone grayscale settings, this pinpoint representation produces brighter and more detail-rich content. Available in variations extending between 5 and 10.3 meters (16.4-33.8 ft.) in width, the Samsung Onyx display accommodates any venue configuration while delivering visual quality, technical performance and reliability beyond that of traditional projector-based operations. With the 4K model earning validation as the world’s first Digital Cinema Initiatives (DCI)-certified theatre display, the Samsung Onyx translates the combination of advanced LED and High Dynamic Range (HDR) picture quality to lifelike big screen content. CinemaCon 2018 attendees were also among the first to experience the Samsung Onyx’s powerful multi-sensory viewing environment. Each Samsung Onyx screen features state-of-the-art surround sound from HARMAN International, bringing scenes to life through clear and consistent audio. This integration eliminates rearward bias by expanding the audio “sweet spot” within Onyx theatres and ensures that all attendees can enjoy the same presentation regardless of seat location. Samsung also previewed the Onyx’s ready-made sequel at CinemaCon 2018. The 3D Onyx Cinema LED screen makes 3D movie content more realistic through enhanced brightness and consistent colour amplification. Glass-wearing viewers can now enjoy subtitle text, images and even minor visual details with unprecedented clarity and without the dark, blurry shadowing and potential dizziness that can occur in traditional 3D movie theatres. 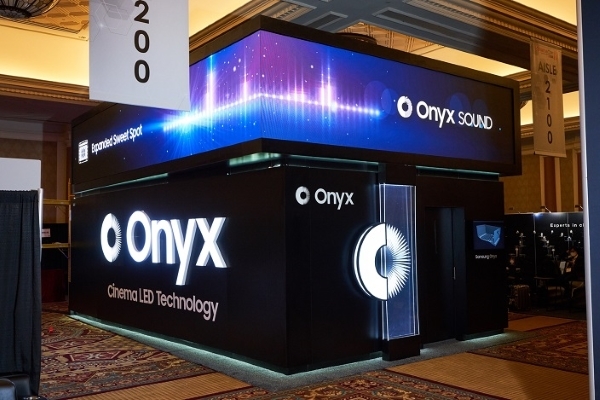 The Onyx’s debut at CinemaCon 2018 comes as Samsung continues to expand its presence among global cinema operators and audiences. In April 2018, Samsung and partner Moving Image Tech (MIT) opened the first U.S. Onyx theatre at Hollywood’s Pacific Theatres Winnetka w/XD. Samsung also recently announced partnerships with Golden Screen Cinemas – the largest cinema company in Malaysia, with 35 venues and 328 screens throughout the nation – and Cineplexx Cinemas – the largest cinema company in Austria, with 171 screens nationwide – to bring the Onyx screen to movie-goers in each country. The first locally revamped Samsung Onyx theatres are expected to open in Kuala Lumpur and Vienna, respectively, later this year. As more theatres upgrade to the Onyx screen, Samsung is working with cinema content developers to ensure that the display can optimise upcoming films. Samsung will collaborate with leading cinema technology services provider Ymagis Group and its Eclair content development business unit to deliver EclairColor HDR-compliant pictures that shine on the Onyx screen. 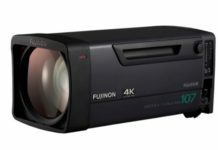 CinemaCon 2018 attendees were treated to a sneak peek at the benefits of this alliance, as Samsung unveiled EclairColour-enhanced visuals on its next-generation display. 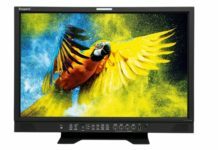 Samsung additionally has forged a partnership with Hollywood-based post-production company Roundabout to develop specialised Onyx-ready HDR content. 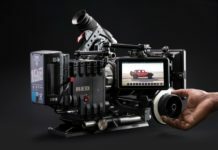 At CinemaCon, Samsung additionally highlighted its partnerships with production equipment businesses, such as the new research and development initiative performed in conjunction with Arnold & Richter Cine Technik (ARRI), a Munich-based designer and manufacturer of specialised motion picture camera and lighting systems, to create Onyx-optimised content. Samsung is also collaborating with GDC Technology, a leading global provider of end-to-end digital cinema solutions, to develop Onyx-compatible cinema servers. CinemaCon took place from 23 to 26 April 2018 at Caesar’s Palace in Las Vegas. It is the official convention of the National Association of Theatre Owners with participants from more than 80 countries in attendance. For more information about Samsung Onyx, visit the Samsung website. Samsung Electronics is a global leader in technology, opening new possibilities for people everywhere. Through relentless innovation and discovery, we are transforming the worlds of TVs, smartphones, wearable devices, tablets, cameras, digital appliances, network systems, medical devices, semiconductors and LED solutions.